Lotte Chemical Titan Holdings Berhad, an integrated olefin and polyolefin producer is scheduled to be listed in Main Market of Bursa Malaysia on the 11th July 2017. The company’s post-listing market capitalisation is about RM19.7bil and it will be the largest IPO in Malaysia since August 2012 and the largest in Southeast Asia since May 2013. The Initial Public Offering (IPO) consists of 740.48 million new ordinary shares at an IPO price of RM8.00 per share. 684.7 million shares will be for institutional investors, private placement & selected investors and the remaining 55.78 million shares made available to the eligible directors and employees of Lotte Chemical Titan Holdings Berhad and Malaysian Public. Retail application is payable upon application but in the event the final retail price is less than RM8.00, retail investors will receive the refund on the difference. Inta Bina Group Berhad, a construction firm is scheduled to be listed in ACE Market of Bursa Malaysia on the 25th May 2017. The Initial Public Offering (IPO) consists of 107.1 million new ordinary shares and offer for sale of 26.8 million existing shares at an IPO price of RM0.25 per share. 86.0 million shares will be for institutional investors, private placement & selected investors, 26.8 million shares made available for Malaysia Public and the remaining 20 million shares made available to the eligible directors, and employees and business associates/persons who have contributed to the success to the group. Cabnet Holdings Berhad, a building management solution provider is scheduled to be listed in ACE Market of Bursa Malaysia on the 22nd May 2017. The Initial Public Offering (IPO) consists of 21 million new ordinary shares at an IPO price of RM0.56 per share. 10 million shares will be for institutional investors, private placement & selected investors, 7 million shares made available for Malaysia Public and the remaining 4 million shares made available to the directors, and employees and person who have contributed to the success to the group. Eversafe Rubber Berhad, a tyre retreading solutions provider is scheduled to be listed in ACE Market of Bursa Malaysia on the 21st April 2017. The Initial Public Offering (IPO) consists of 48 million new ordinary shares and 30 millions offer for sale of existing shares at an IPO price of RM0.36 per share. 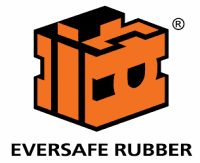 54 million shares will be for institutional investors, private placement & selected investors, 12.5 million shares made available for Malaysia Public and 11.5 million shares made available to the employees and person who have contributed to the success of Eversafe Rubber and its subsidiaries.